This DIY diorama featuring a VW camper van can be made with items found at JoAnn fabric and craft stores. 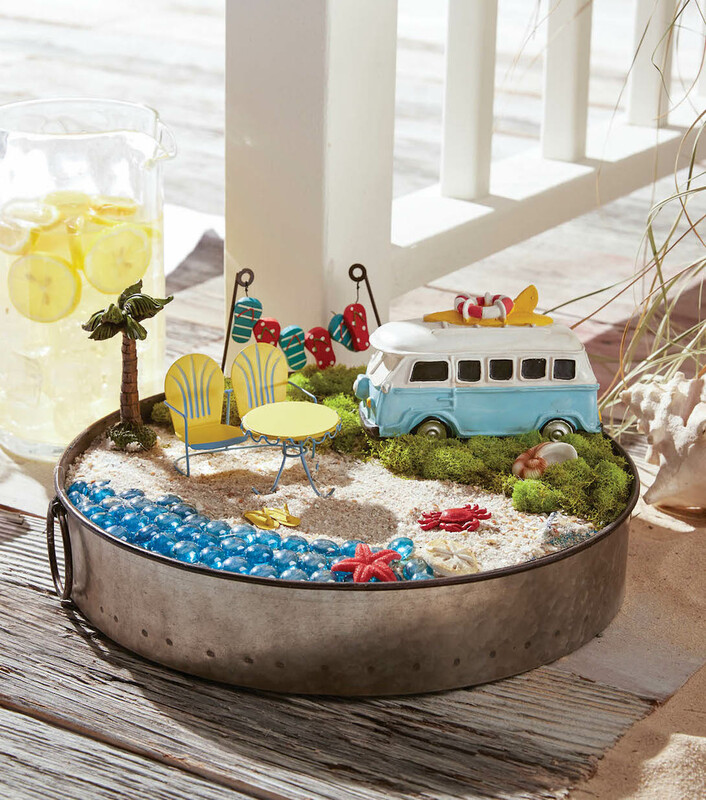 This Beach Fairy Garden scene comes from a crafting tutorial put together by JoAnn fabric and craft stores. If you visit this page, you can watch a quick video showing you how to make it! Most of the accessories are held in place with hot glue, and you can find all the supplies through the JoAnn online site.